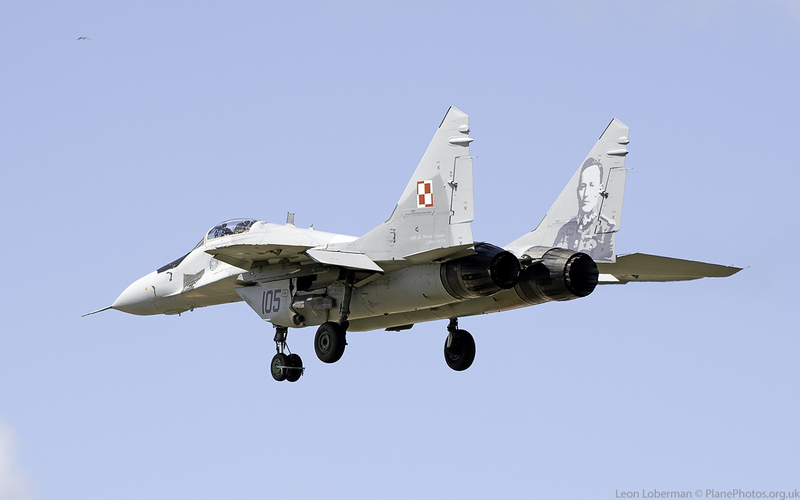 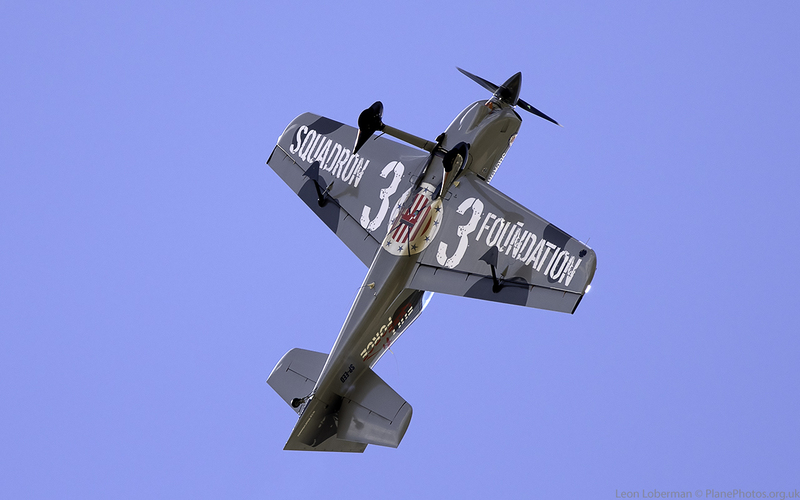 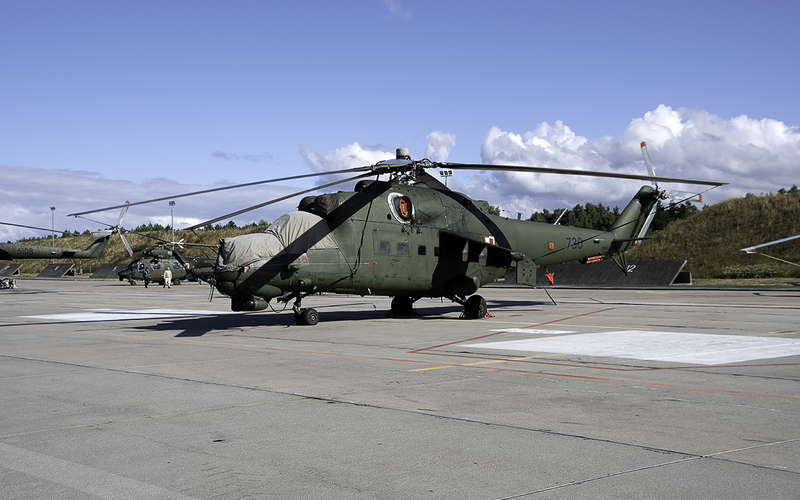 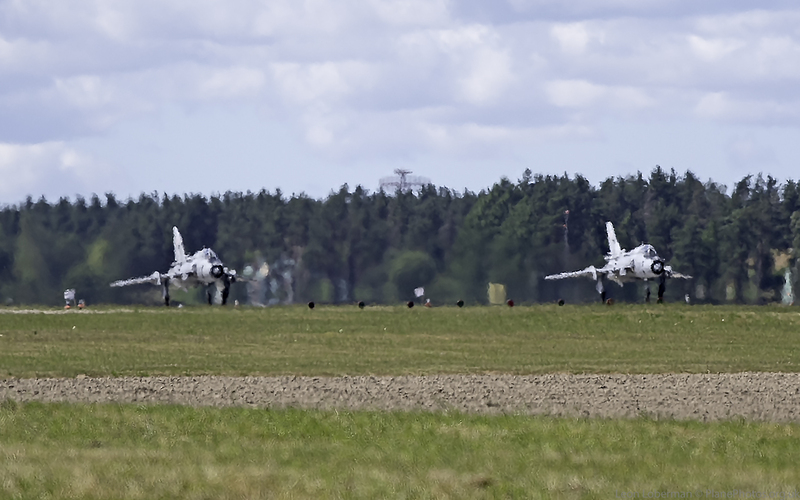 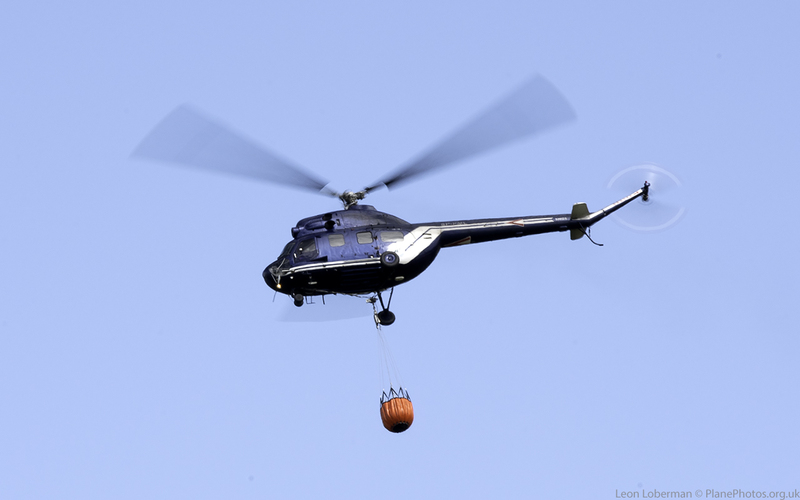 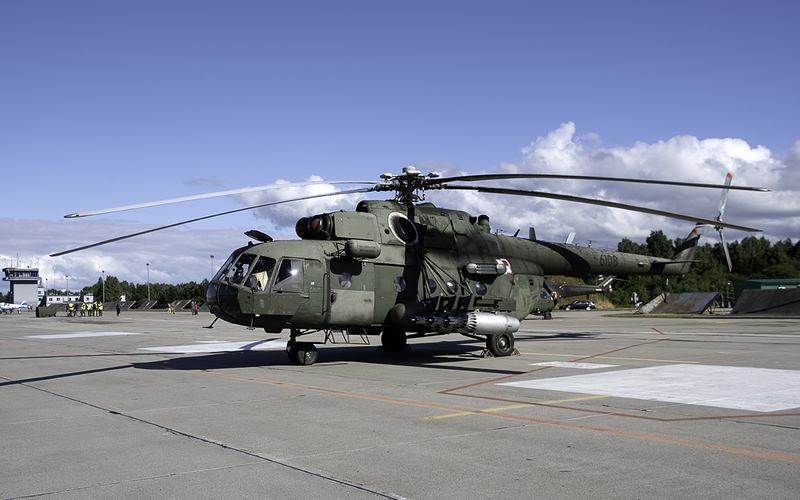 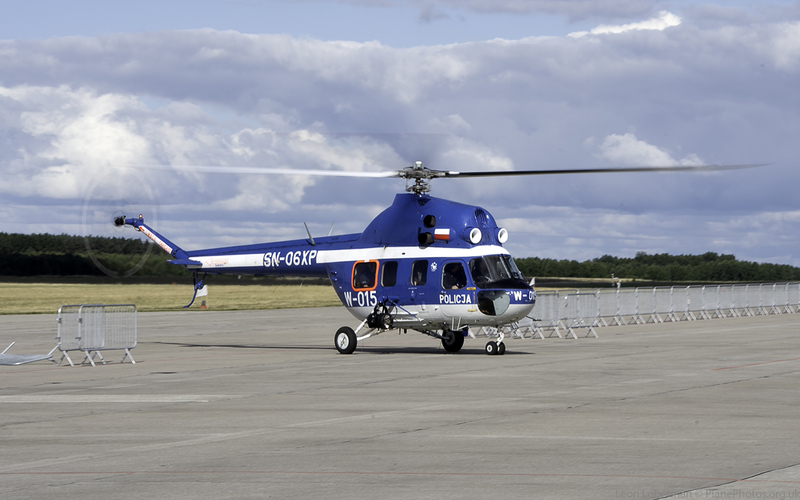 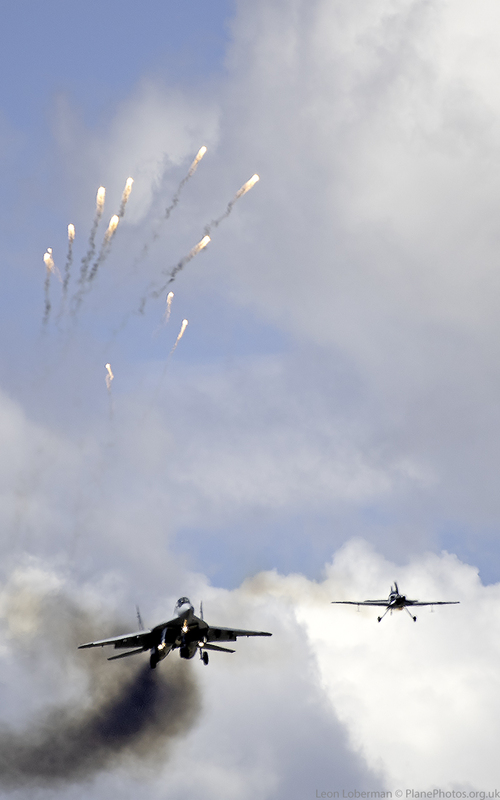 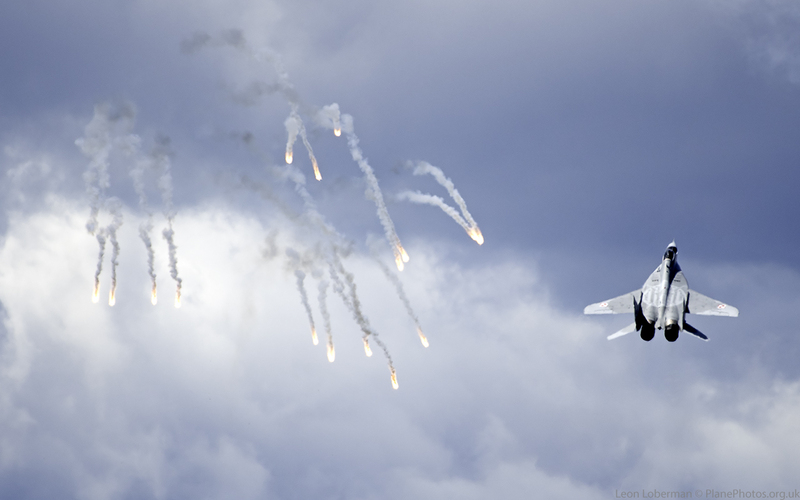 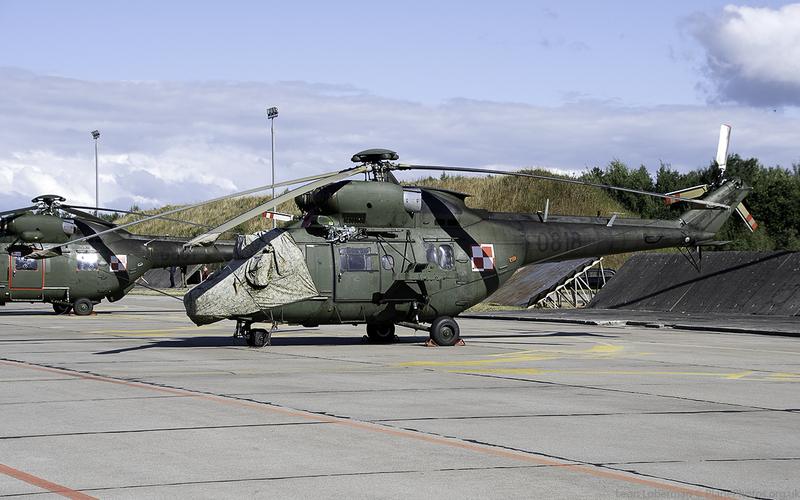 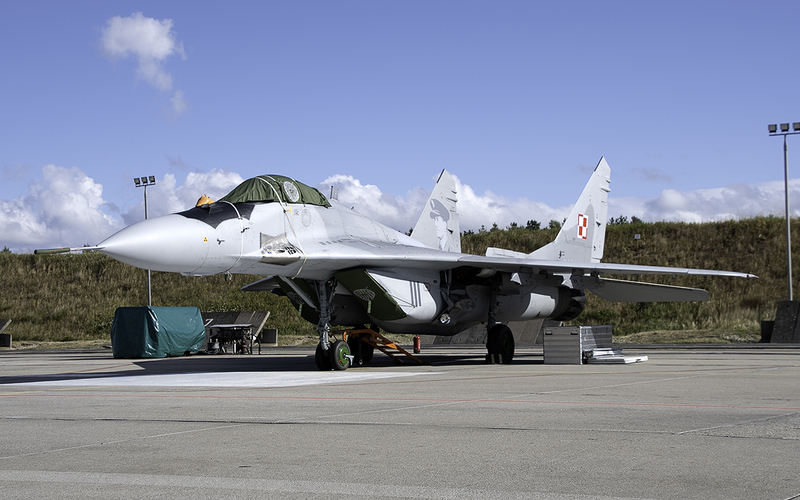 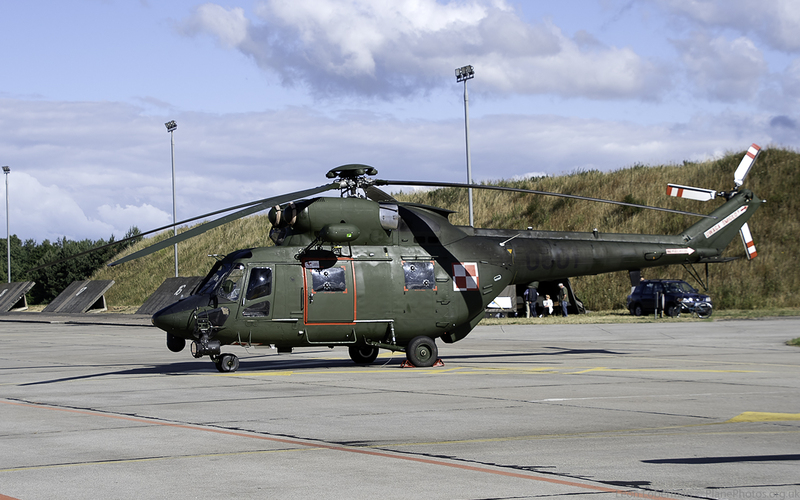 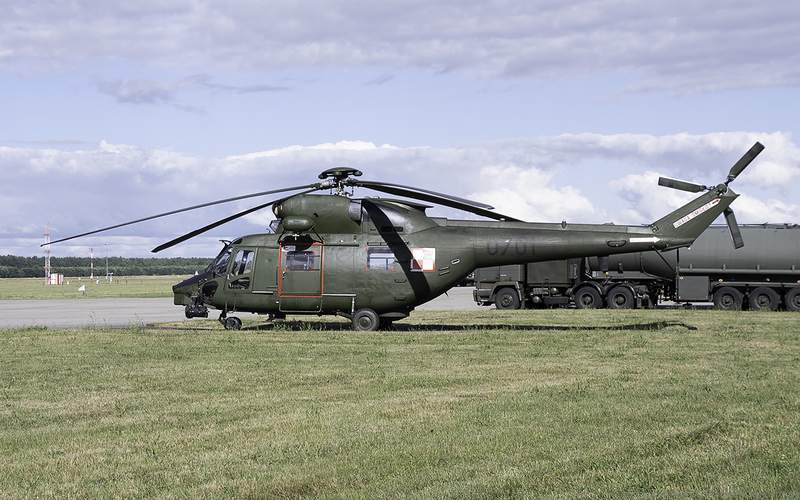 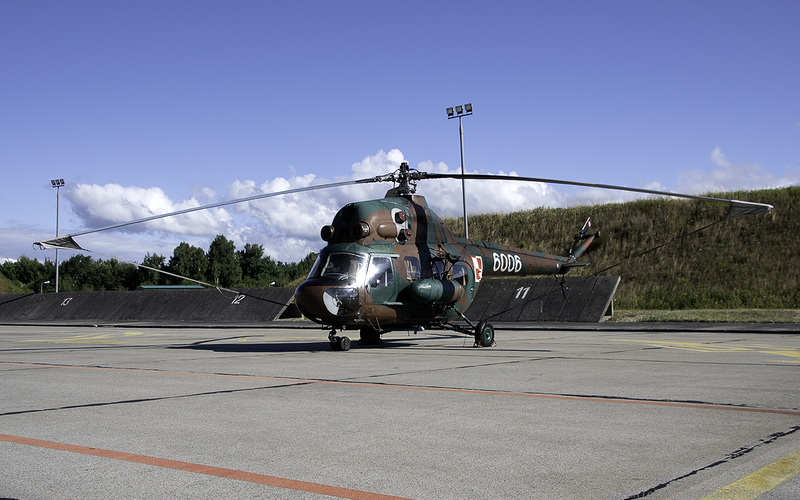 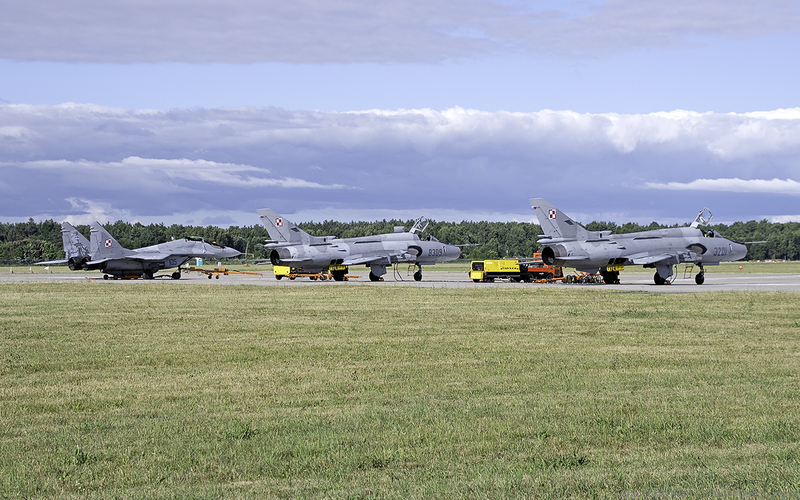 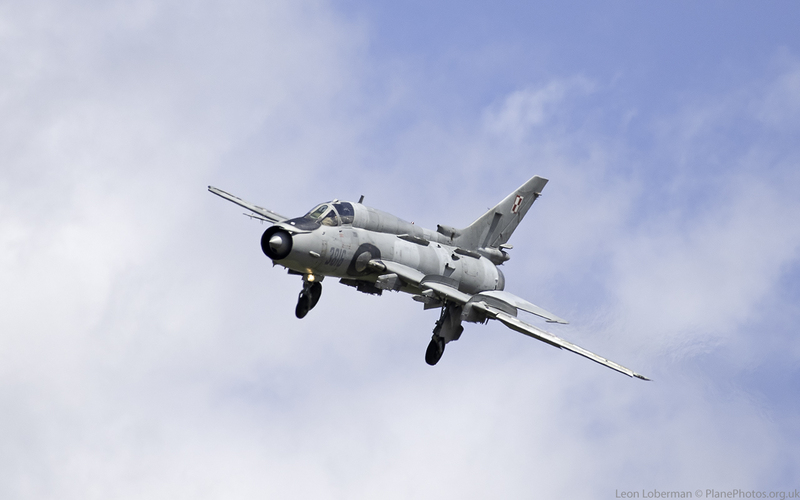 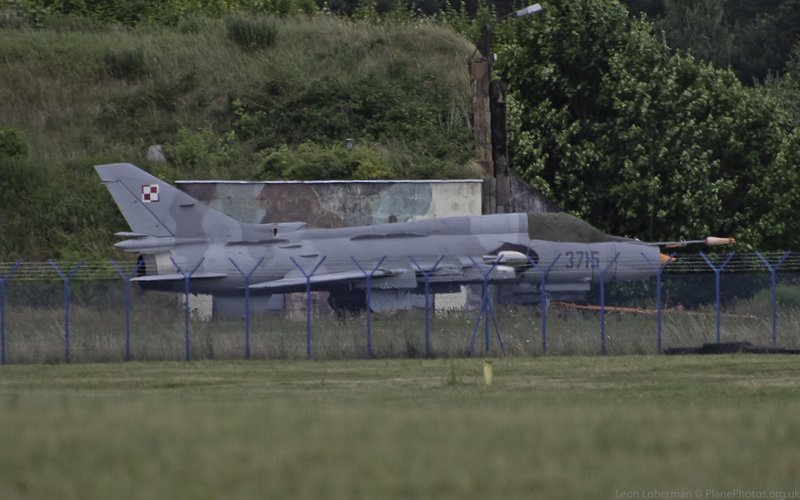 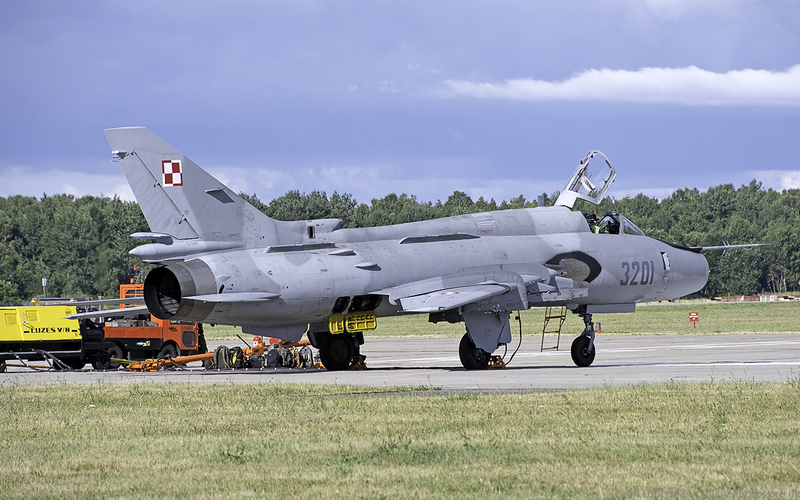 In late June 2018, I returned to Poland not long after the NATO Tiger Meet to attend the Piknik Lotniczy 2018 (Polish Air Force Open House) at Swidwin Air Base in the North East of the country. 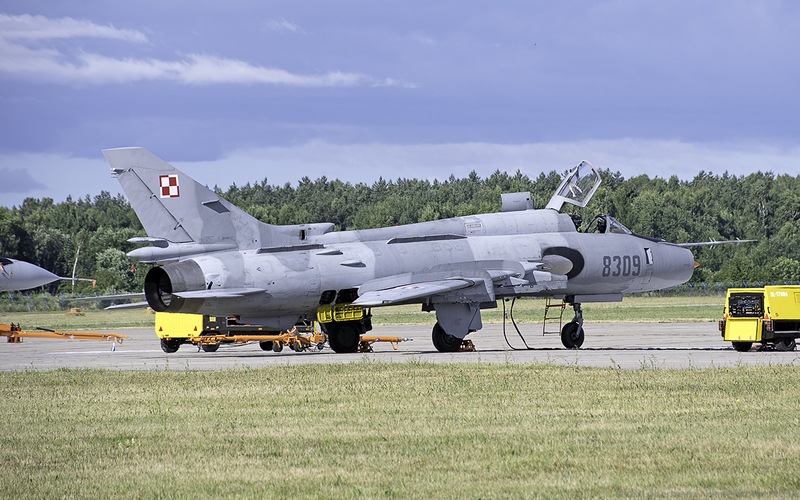 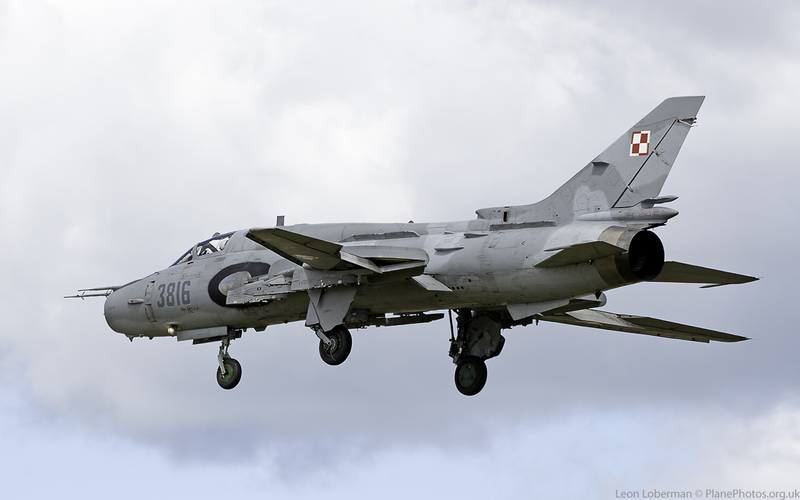 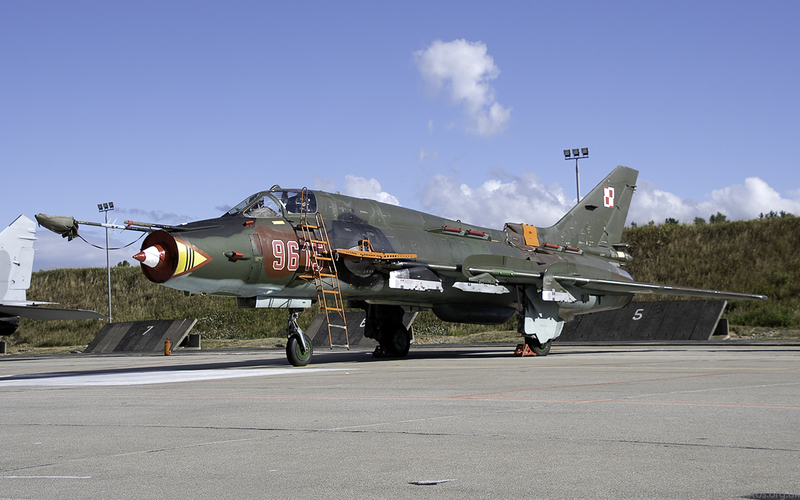 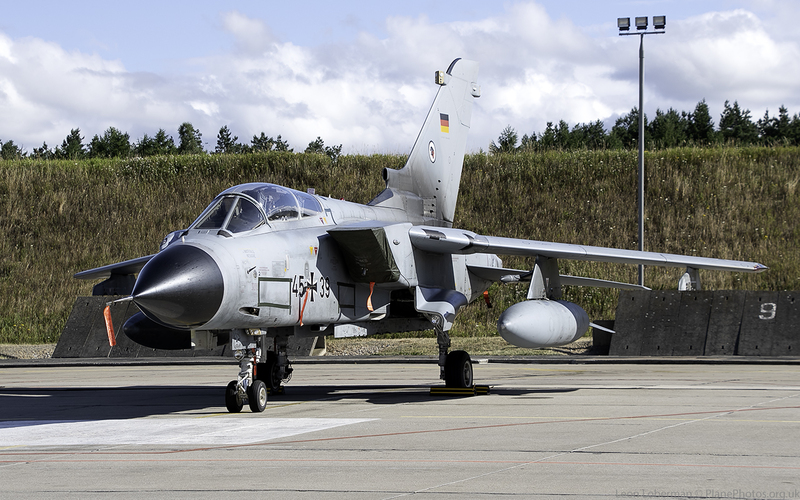 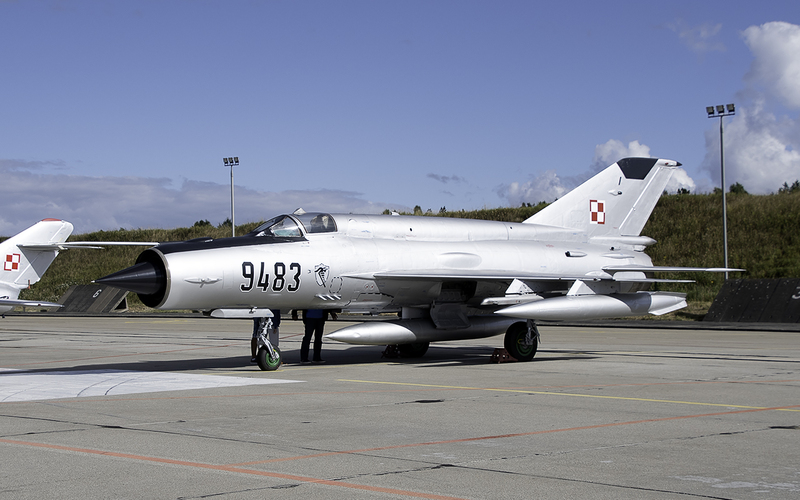 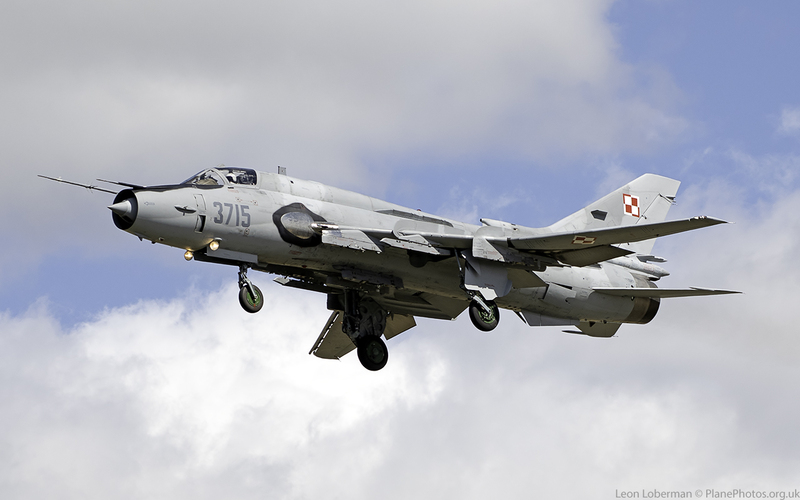 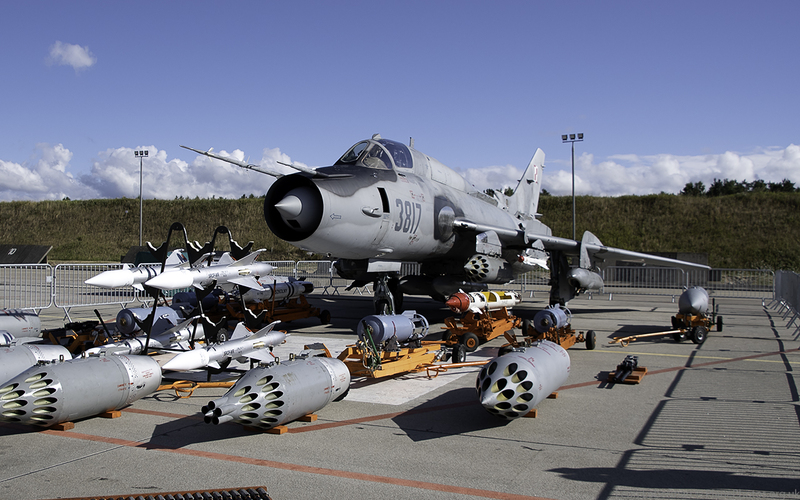 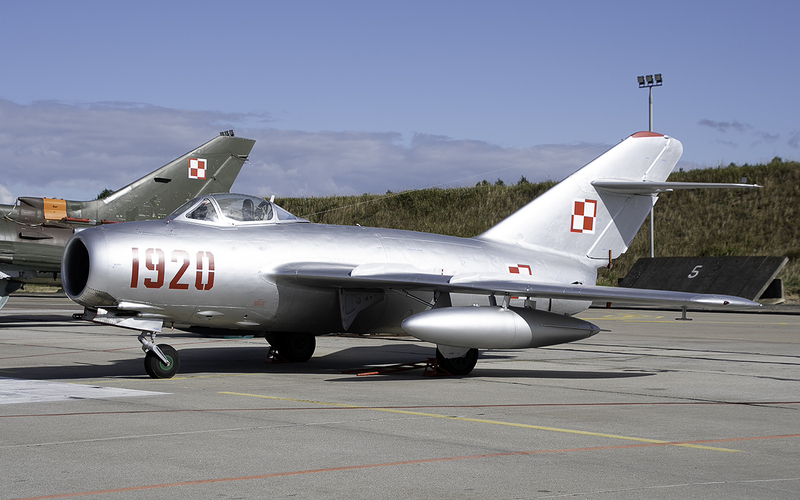 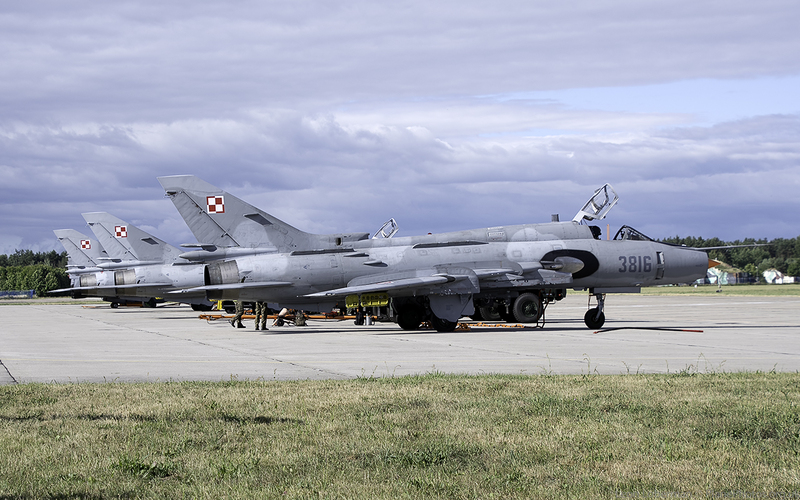 Also known as the 21st Tactical Air Base, it is the home of 40th Aviation Squadron, operating the Sukhoi Su-22M$/UM3K (NATO Name: Fitter), who is the last operator of the type in Polish Air Force service. 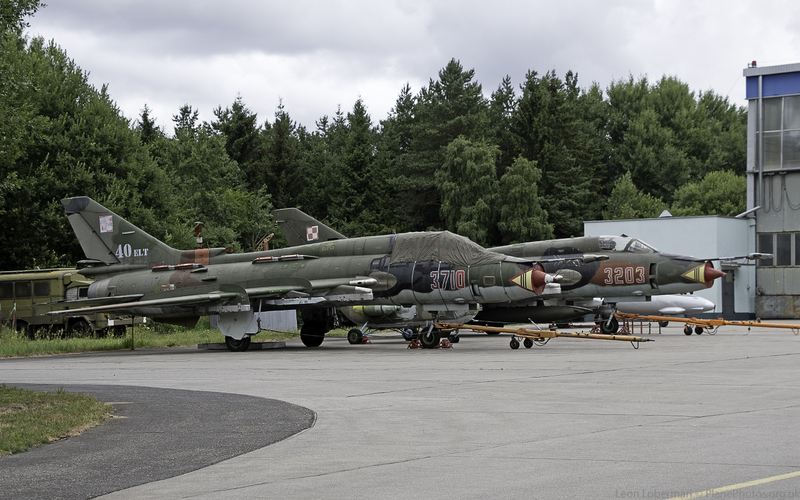 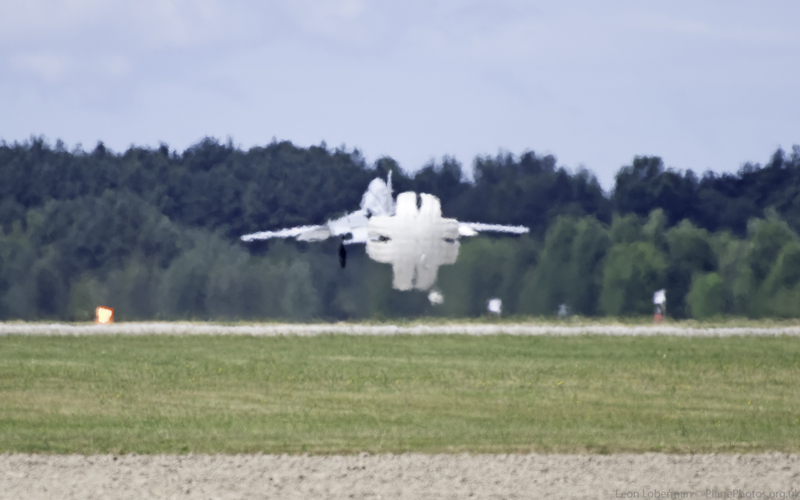 This was my main reason for traveling to Swidwin – there just aren’t too many places you can go nowadays to see Su-22’s flying!! 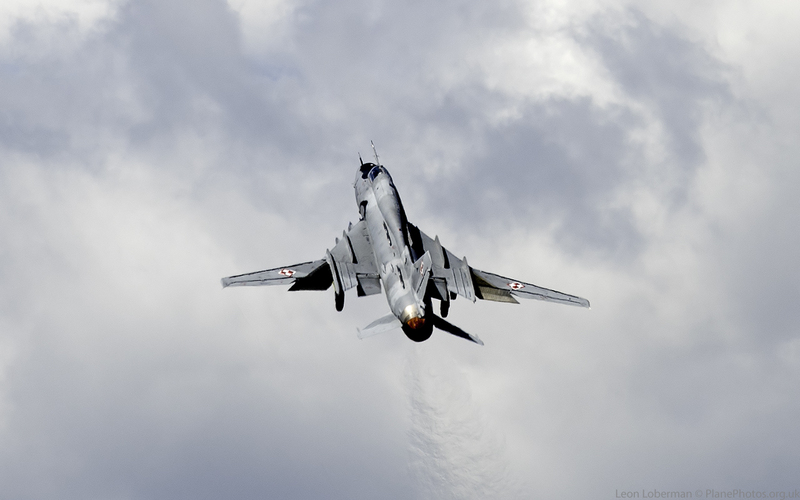 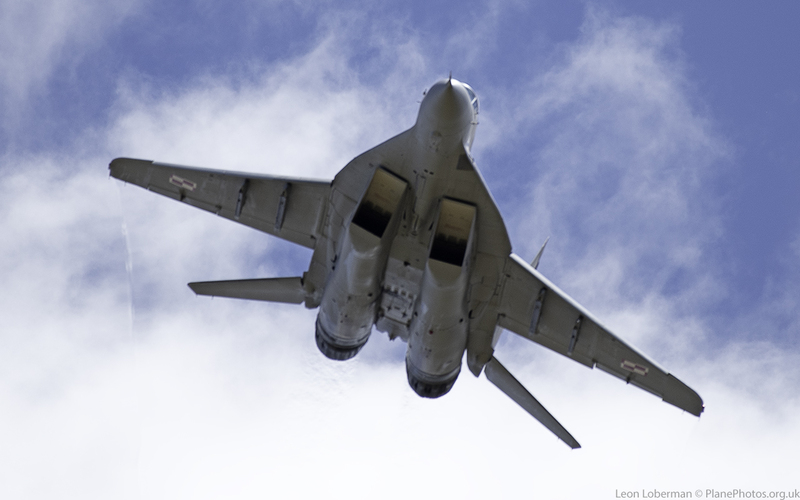 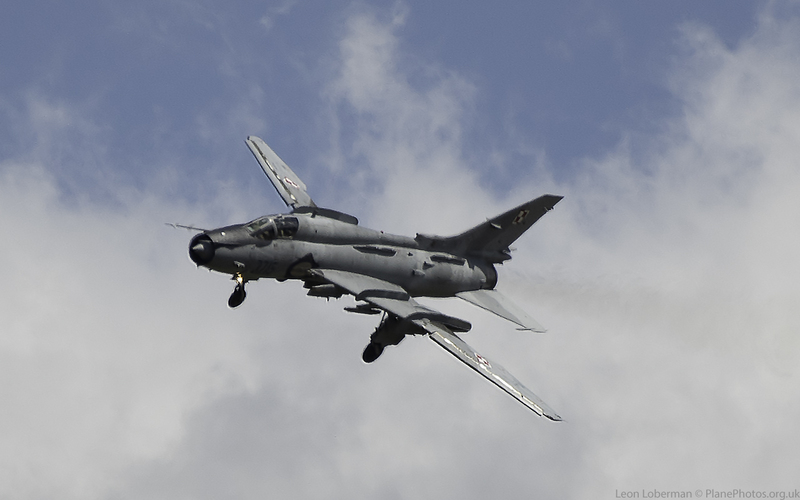 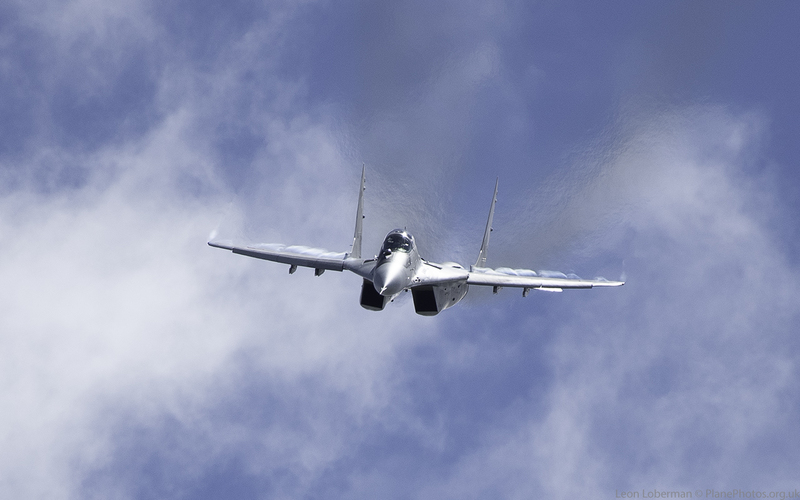 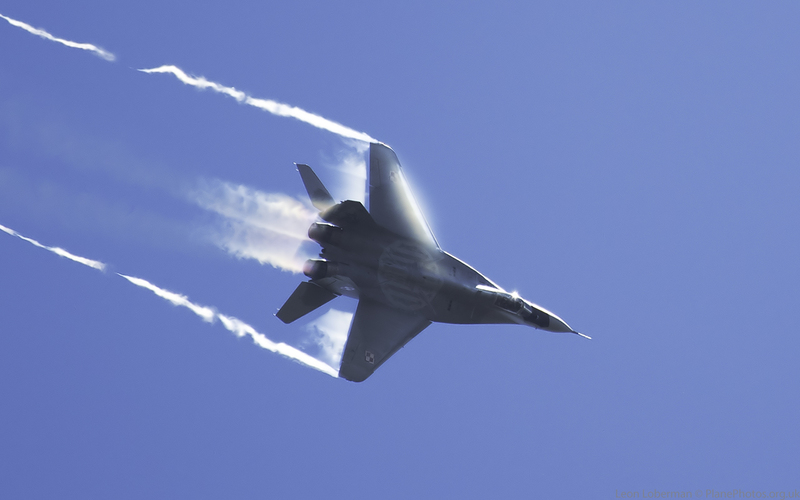 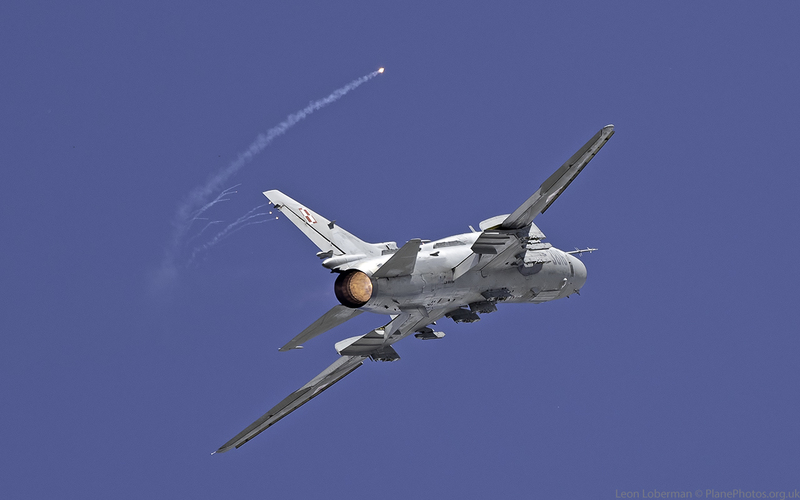 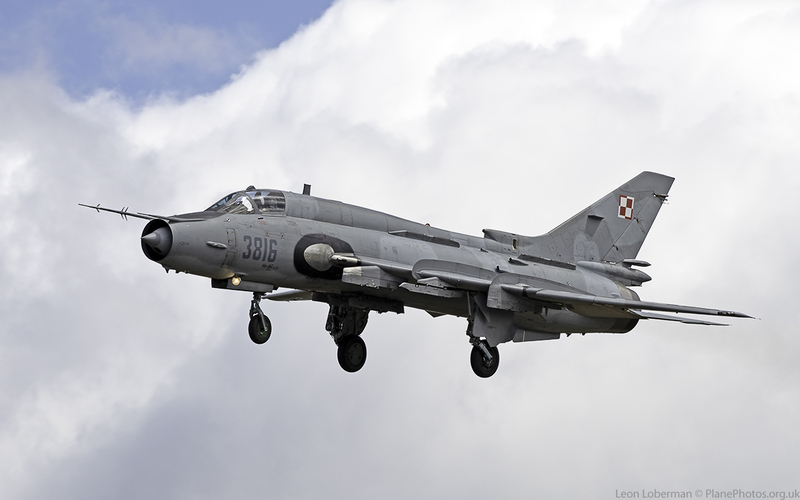 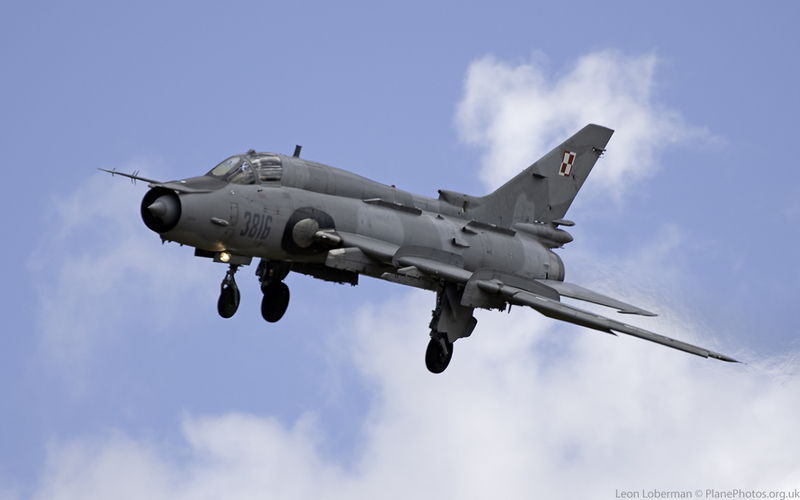 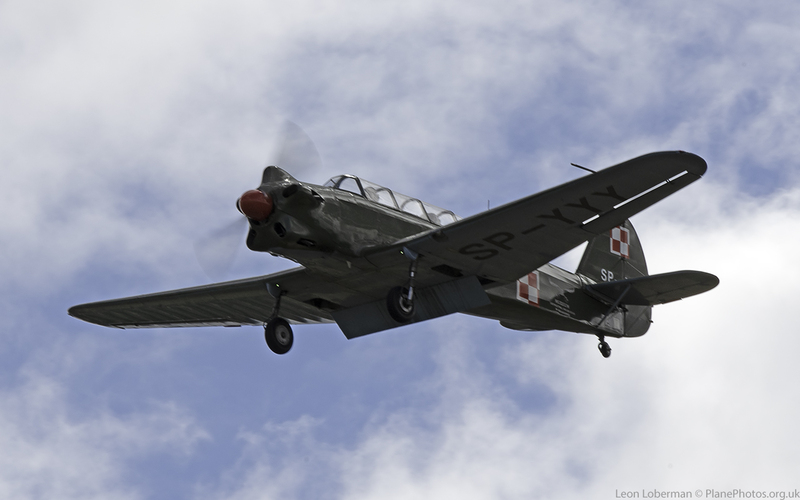 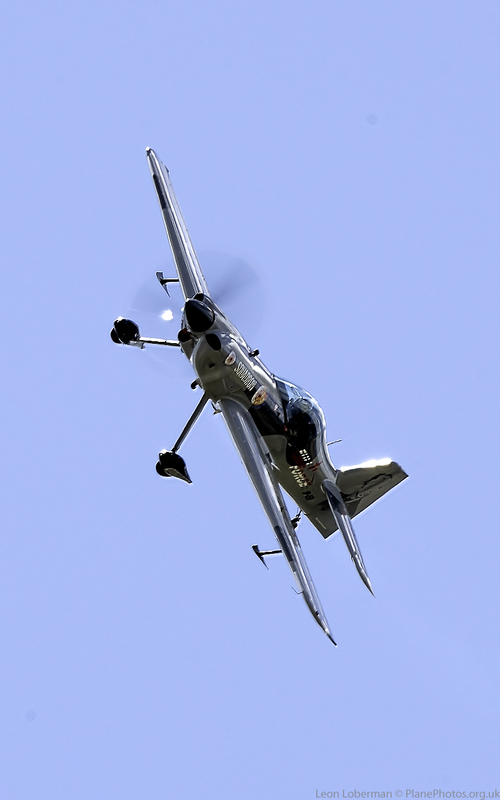 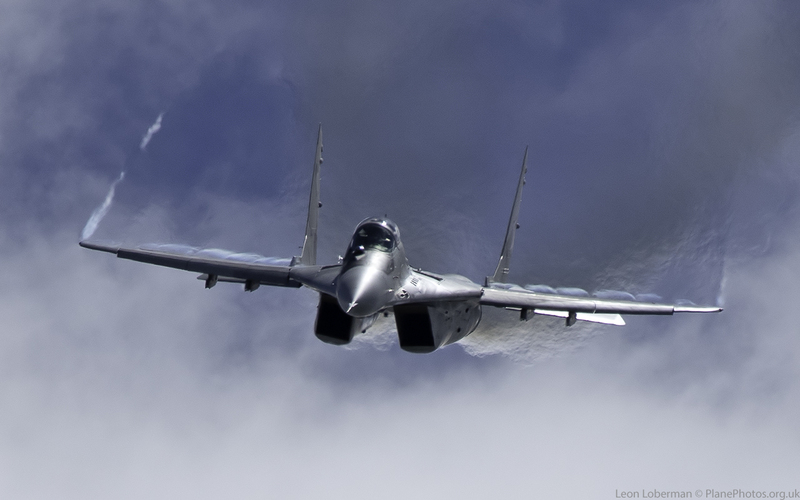 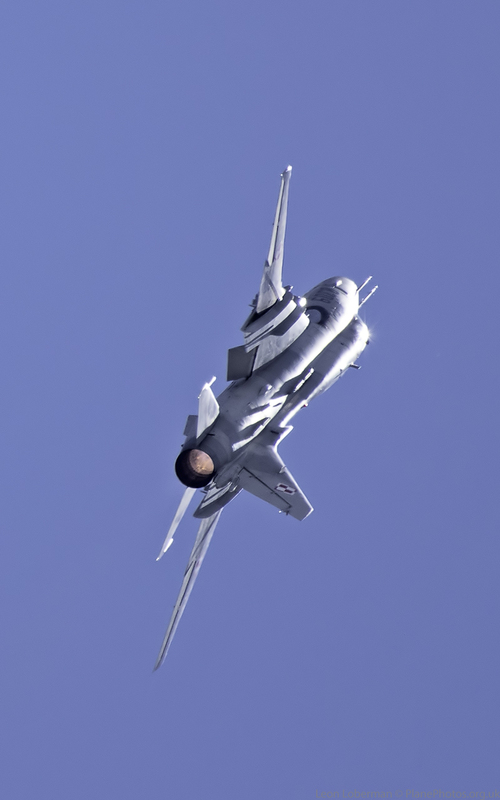 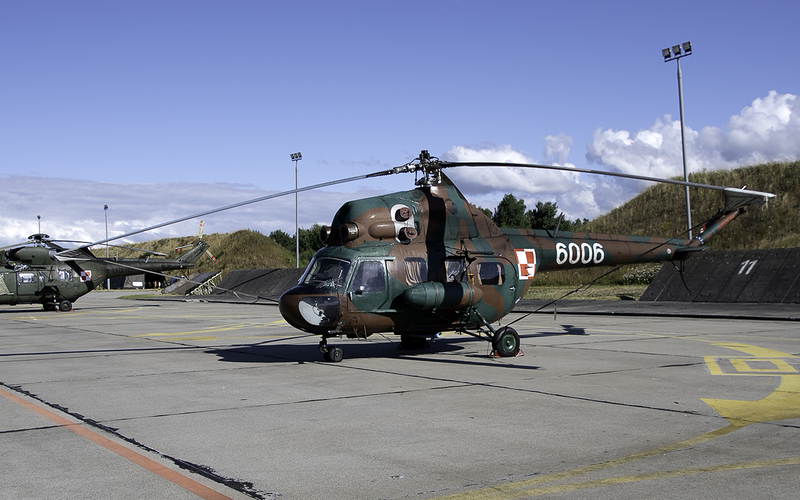 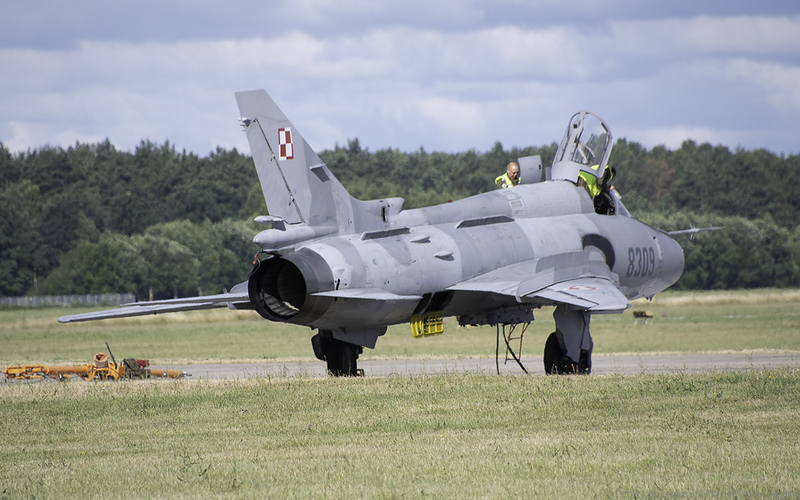 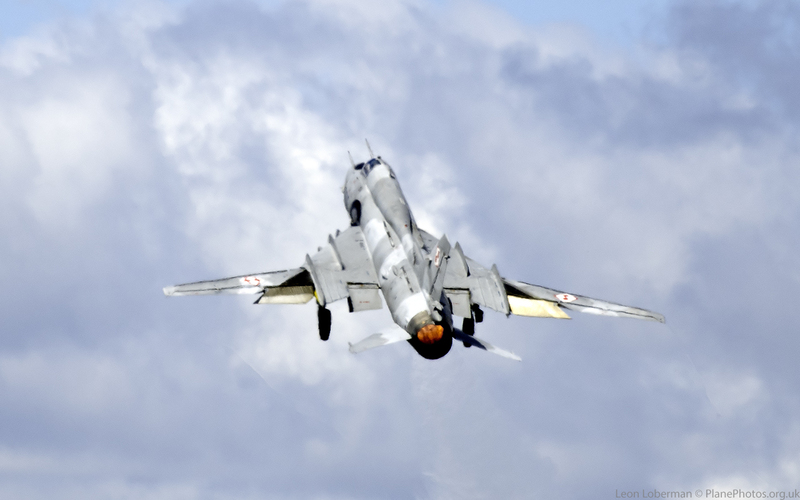 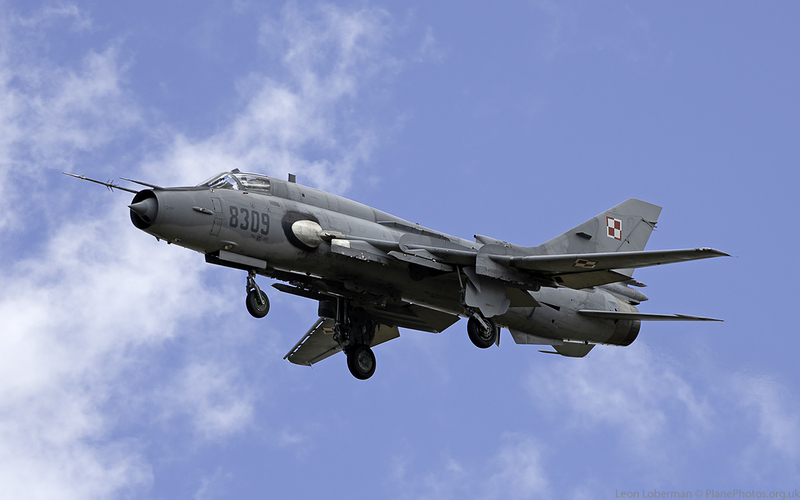 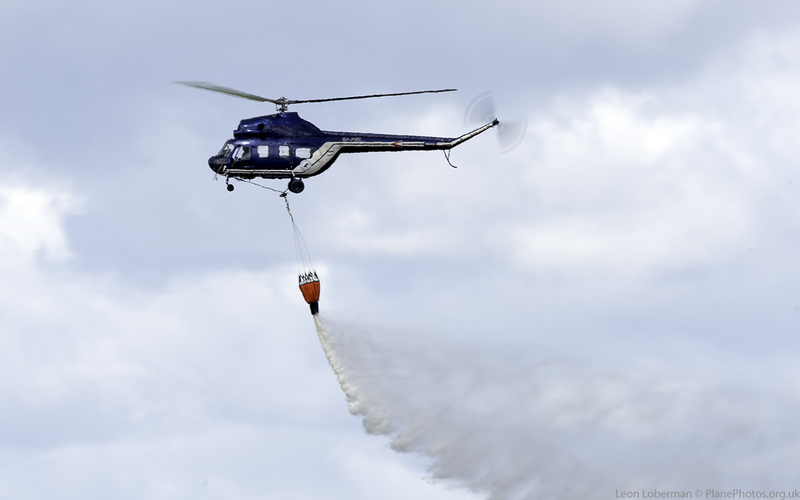 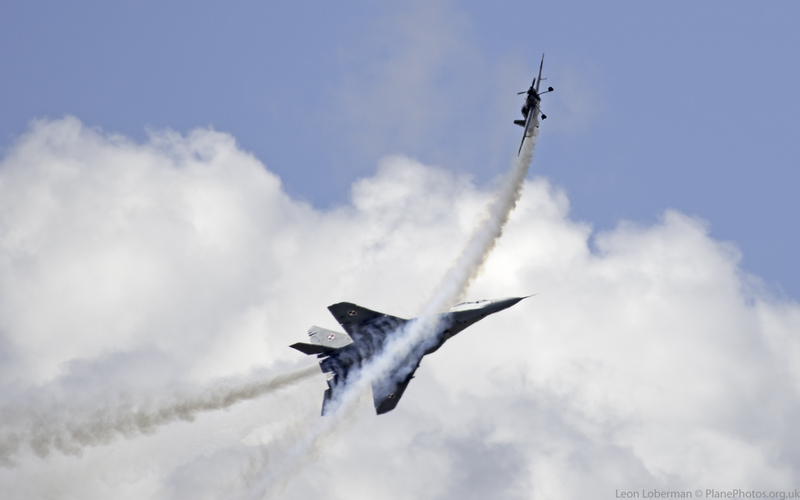 A relatively small show, especially since 2018 is the 100th anniversary of the formation of the Polish Air Force with a major airshow planned for Radom in late August, it nevertheless attracts a high number of local people, along with Polish enthusiasts from across the country. 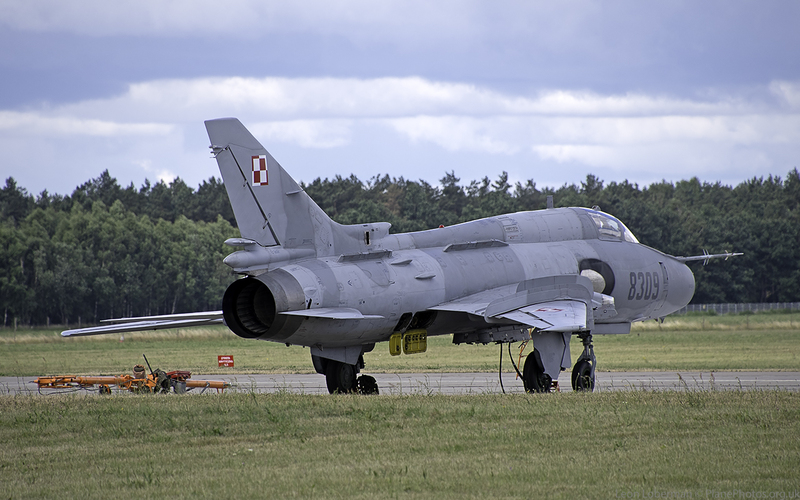 As usual with the Polish population, they seem to have no fear and despite some attempts by security, many people were taking shortcuts from the parking (which was on the south side of the airfield) to the static displays by walking between the approach lights, even while aircraft were landing or taking off!! 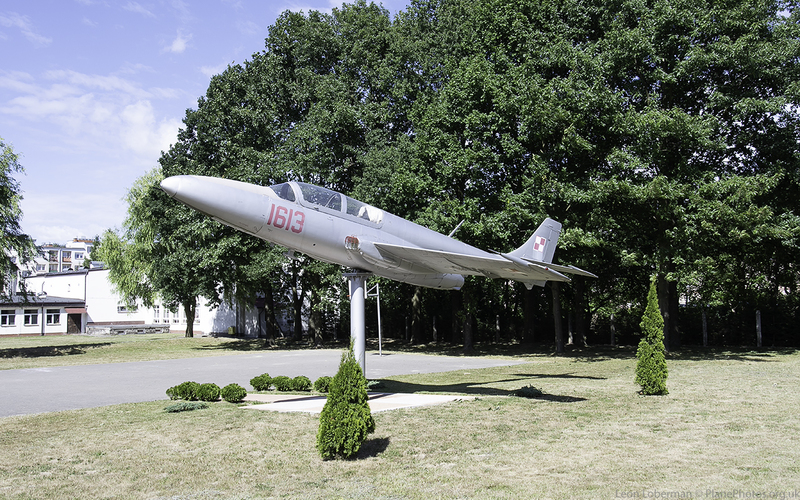 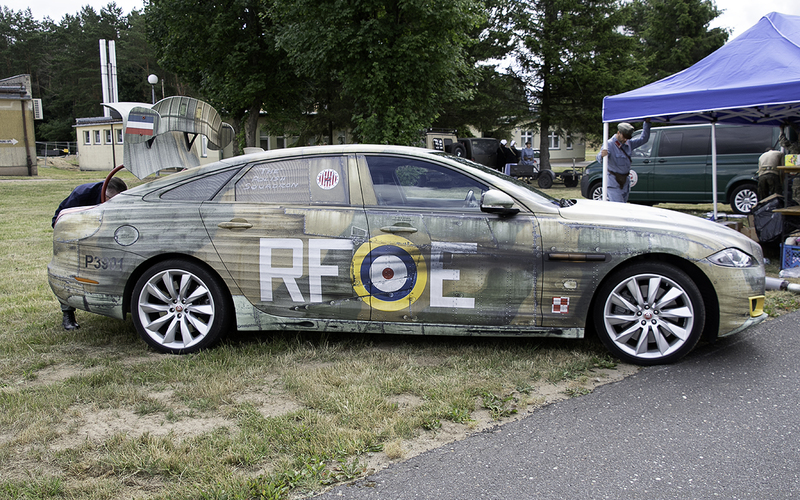 I decided that I would walk the small static park first thing in the morning and return to my car (along the road rather than taking the shortcut) for the display, as that would mean I would not be facing into the sun for the flying displays. 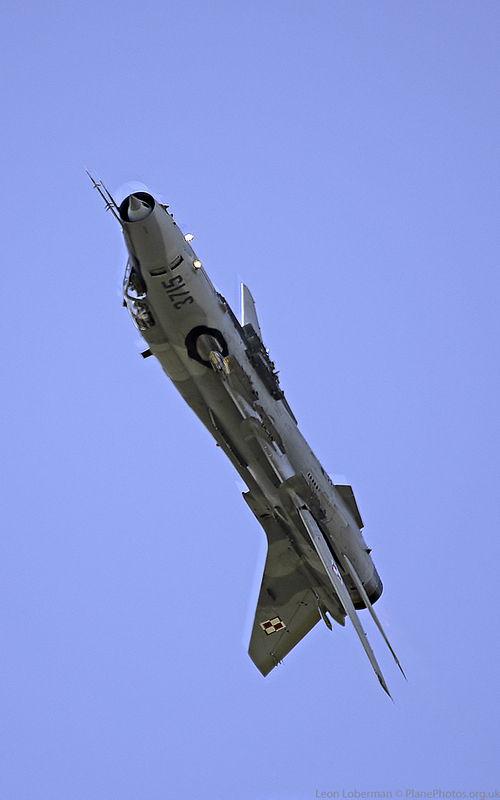 Little did I know that the pilots would be using the corner of the parking area where I was located as the aiming point for the display line – hence many of my images are nose on or underside shots – however it was exciting, particularly as some of the fast jets were quite low over our heads. 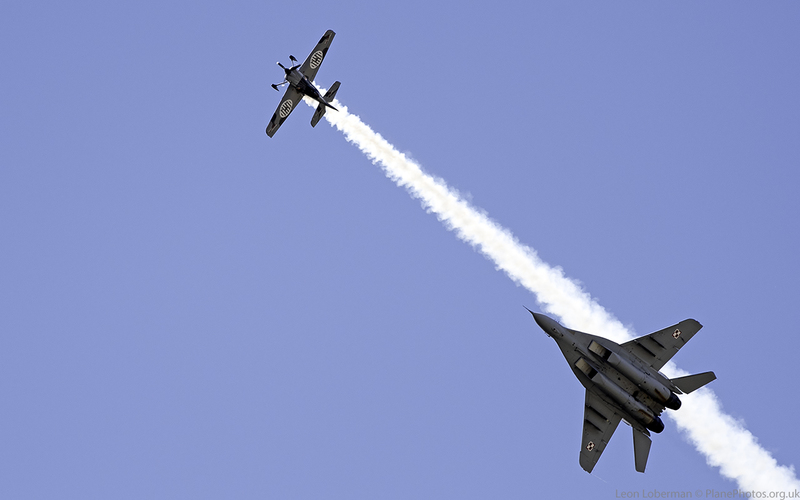 If I return, I certainly know now where to stand for the display! 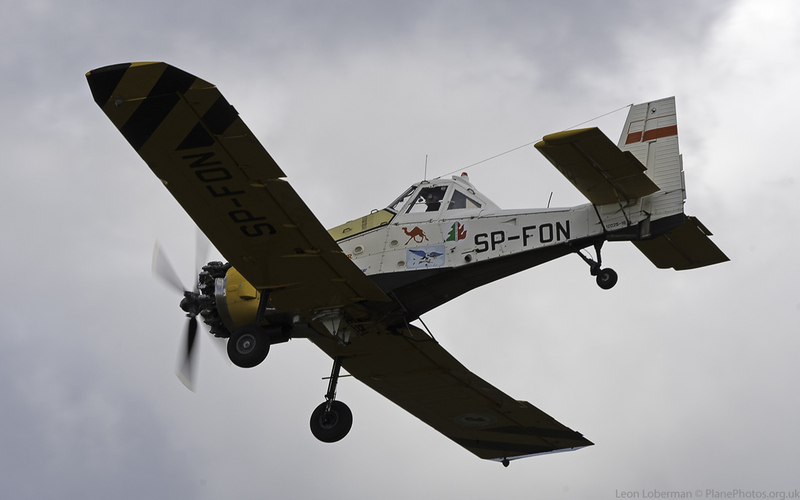 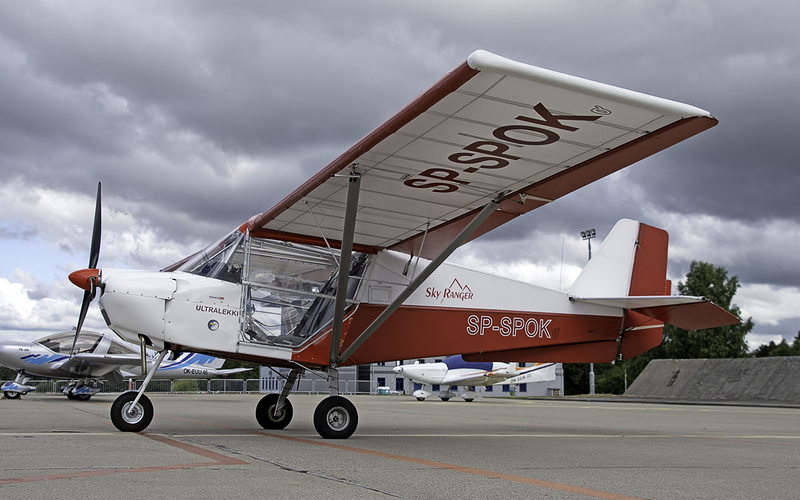 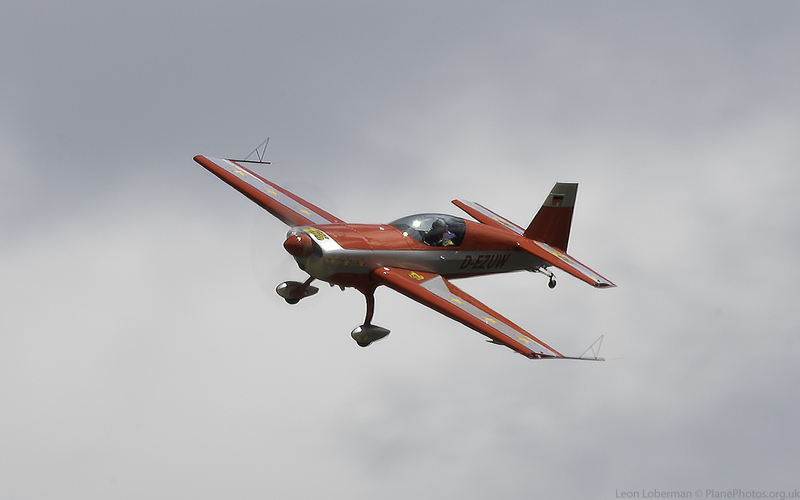 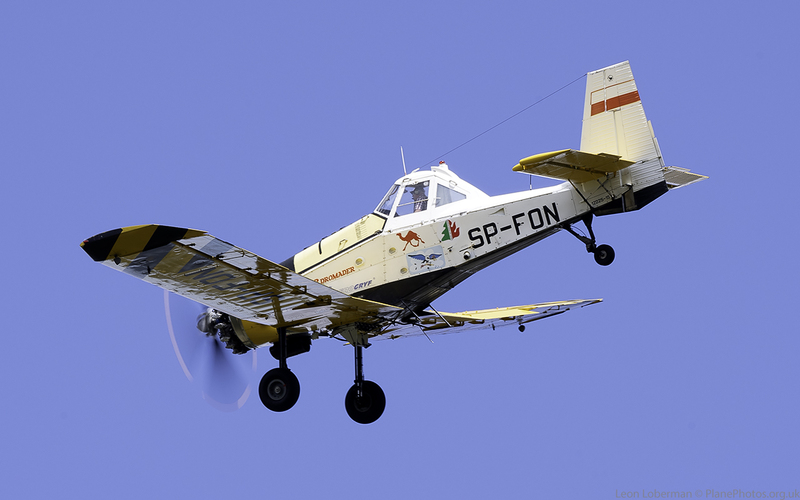 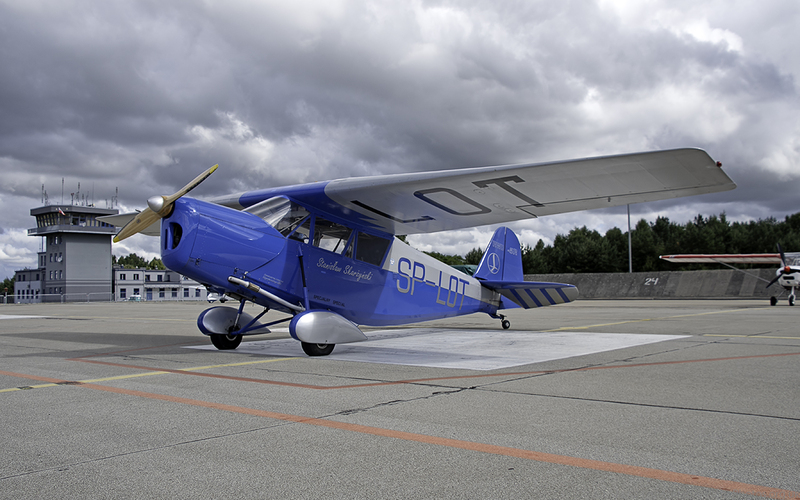 The weather was changeable – sunny, then cloudy but all the while cold and very windy – so much so that some of the light aircraft had to land away at other airfields. 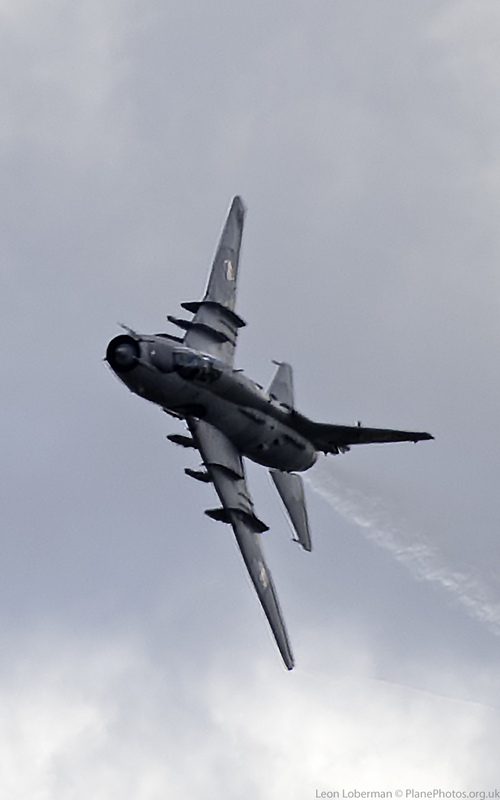 It was difficult to hold the camera steady at times. 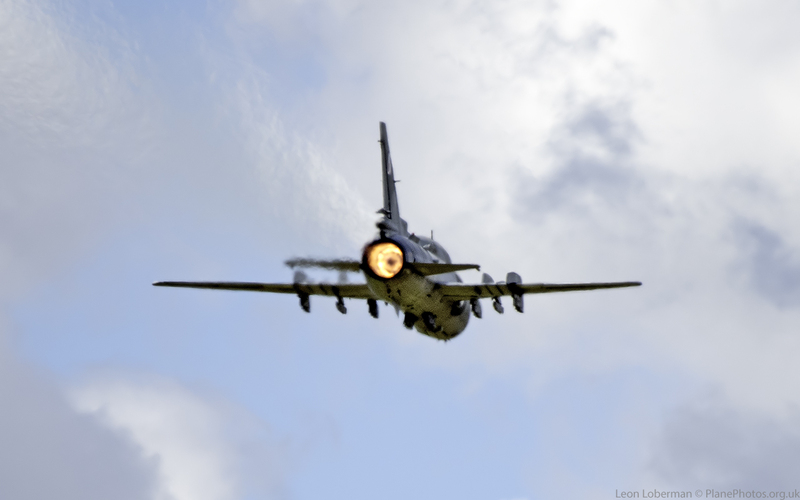 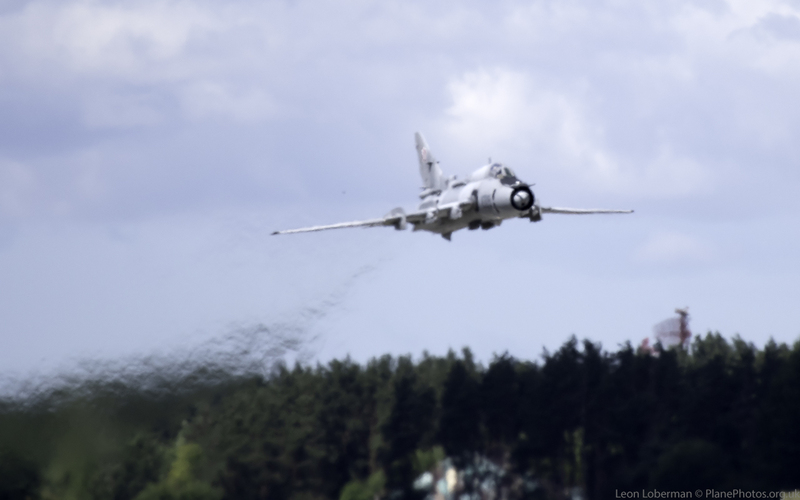 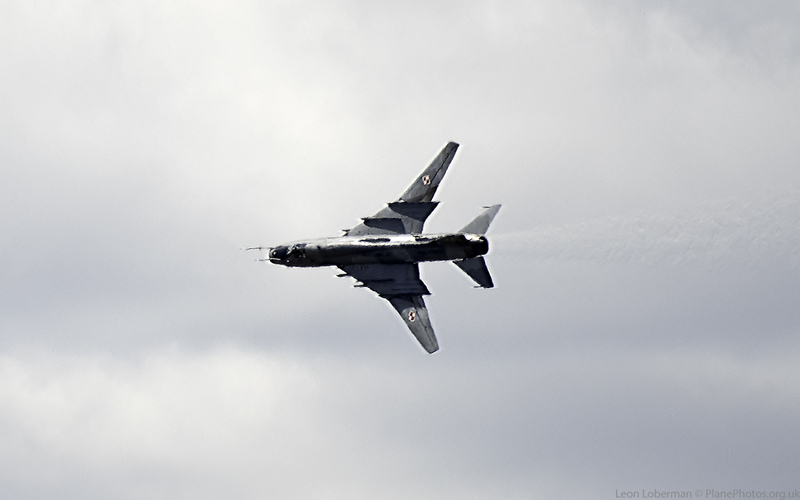 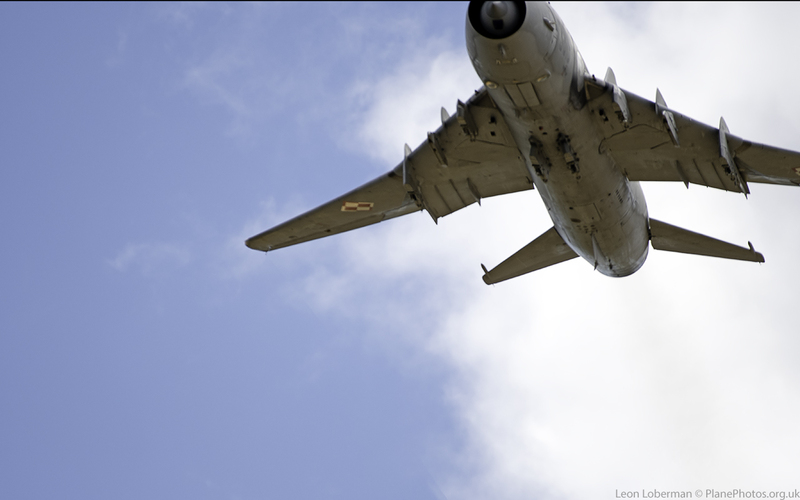 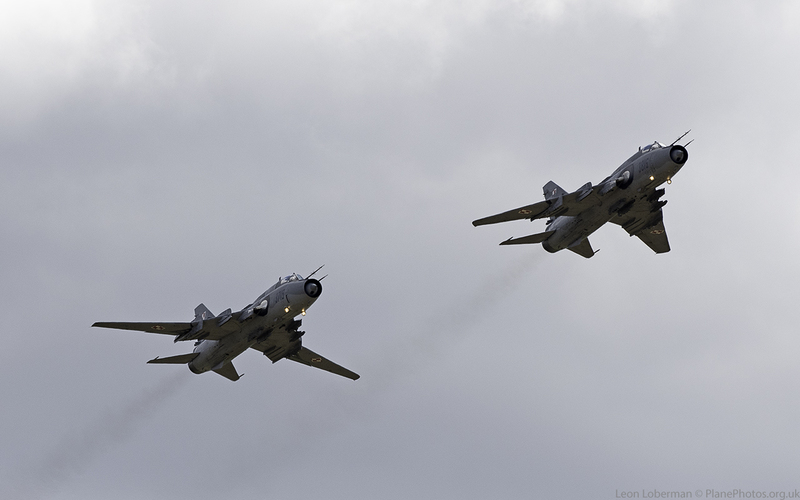 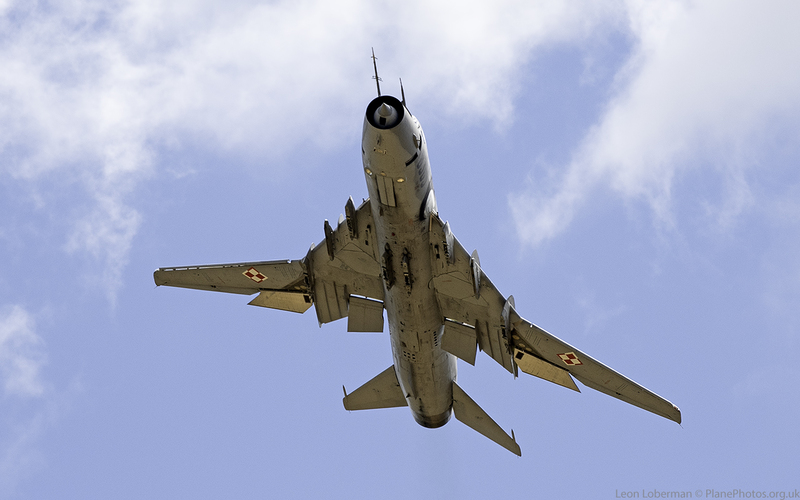 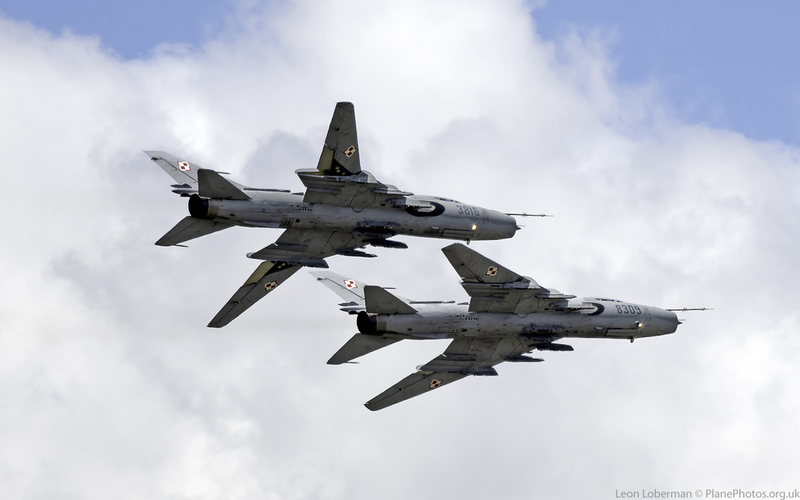 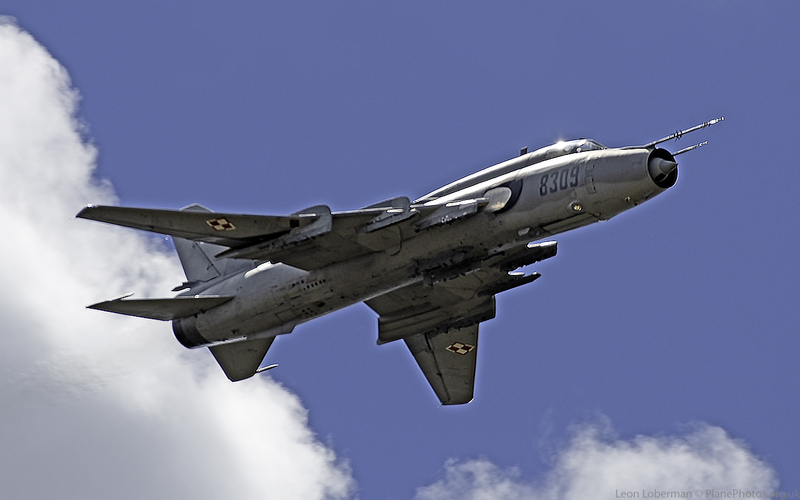 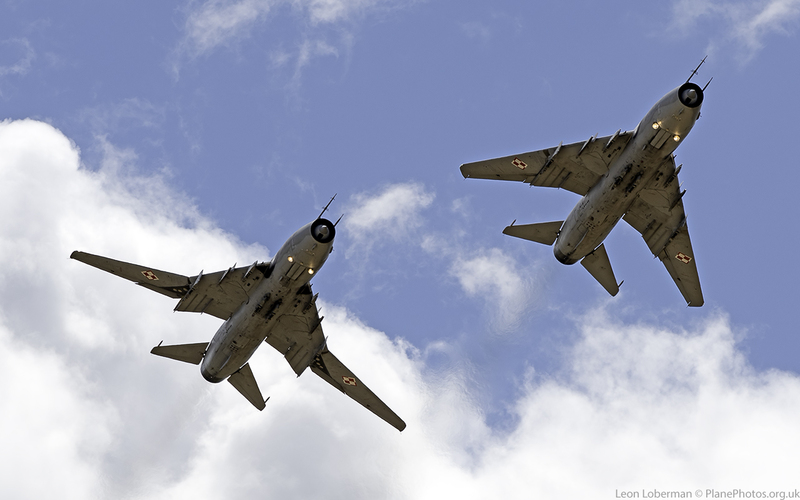 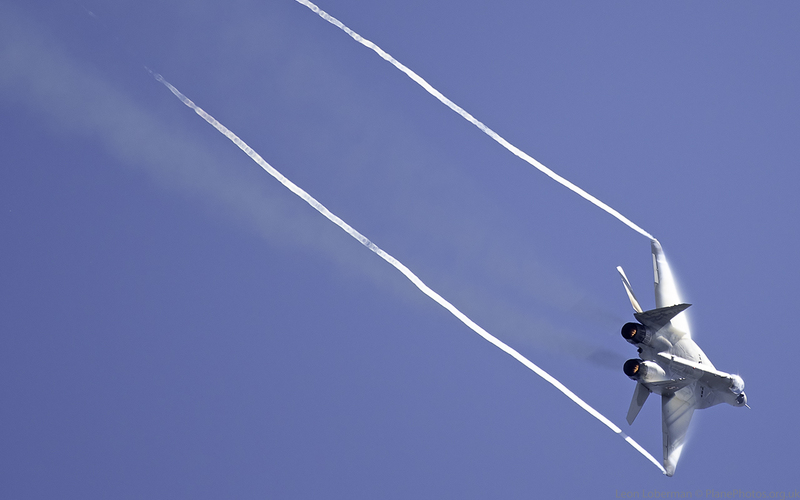 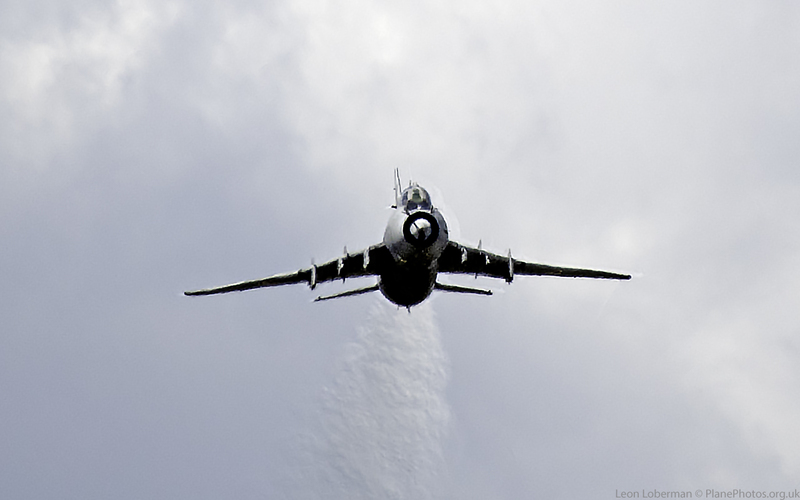 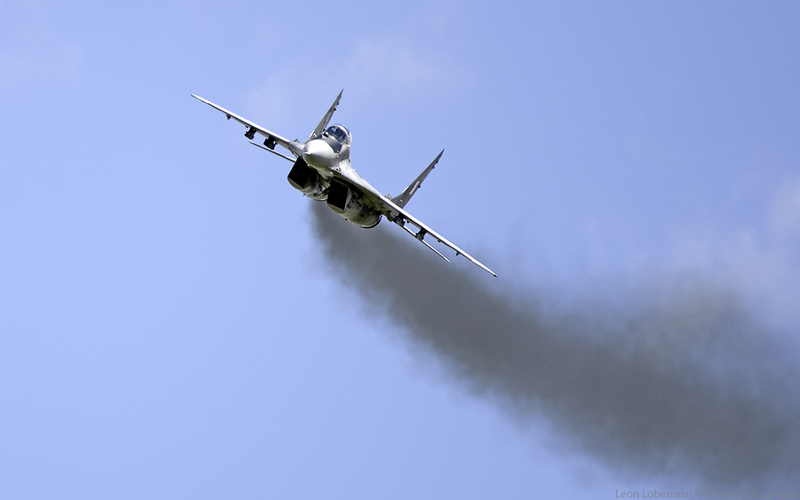 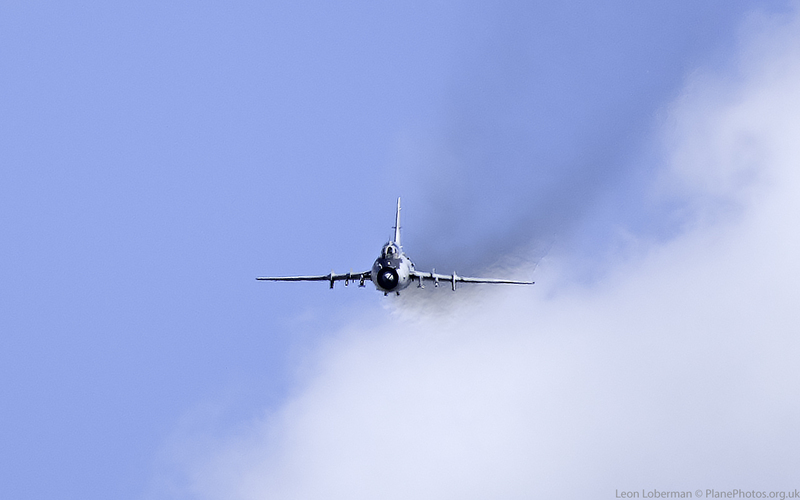 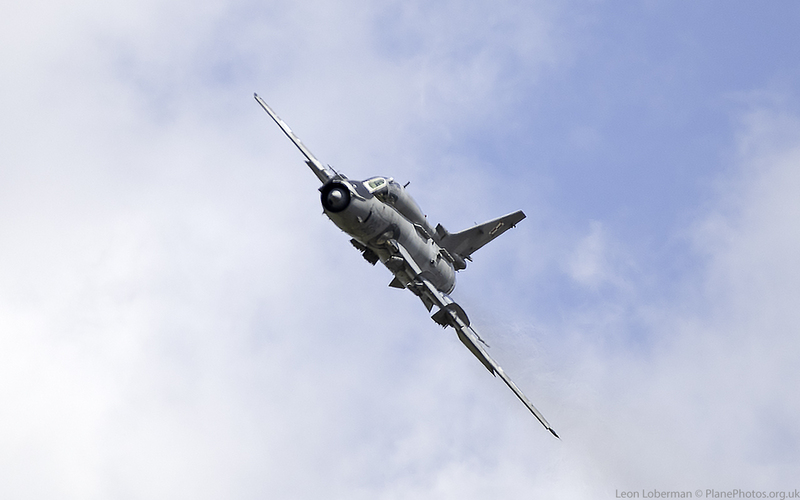 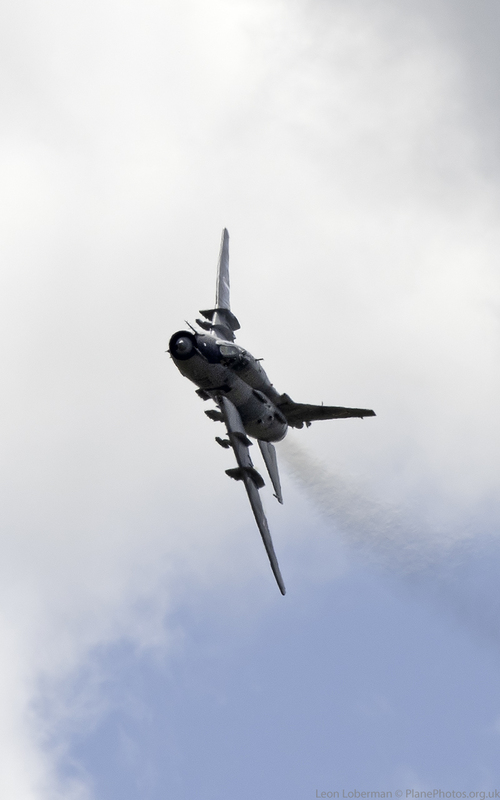 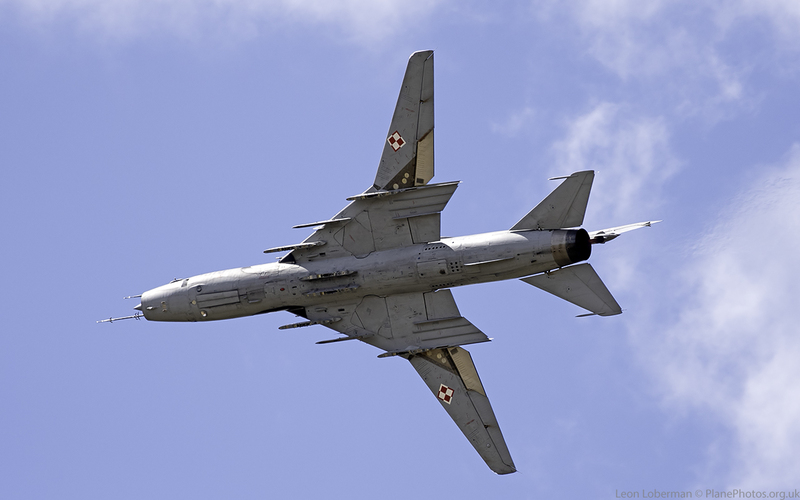 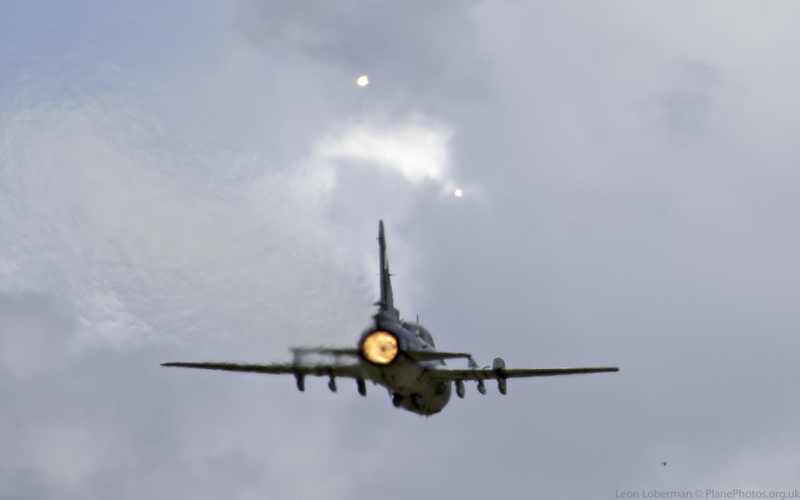 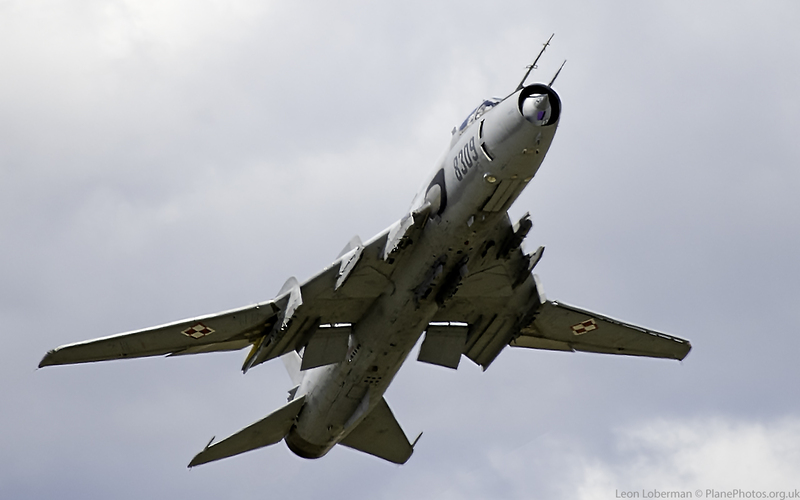 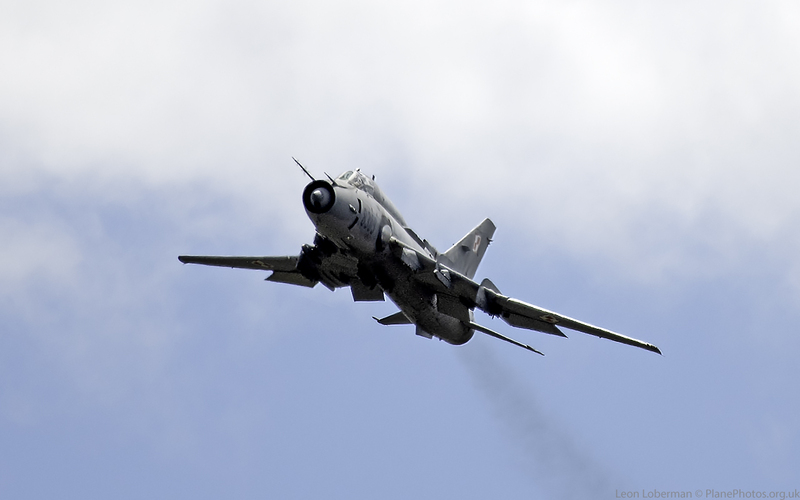 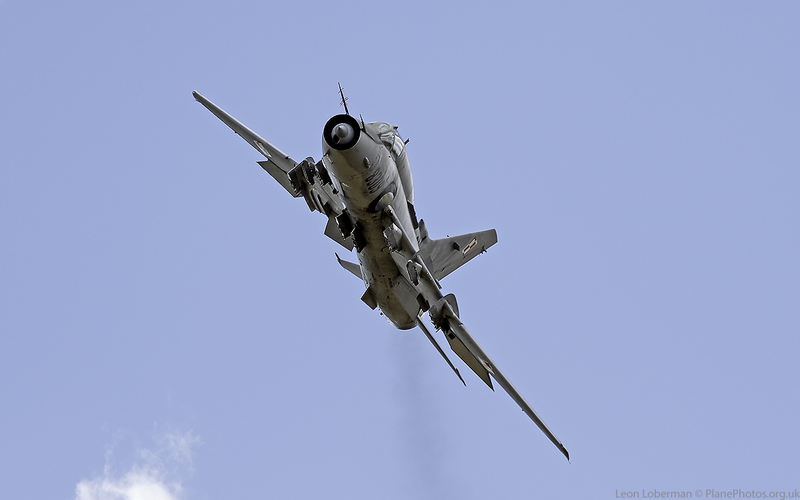 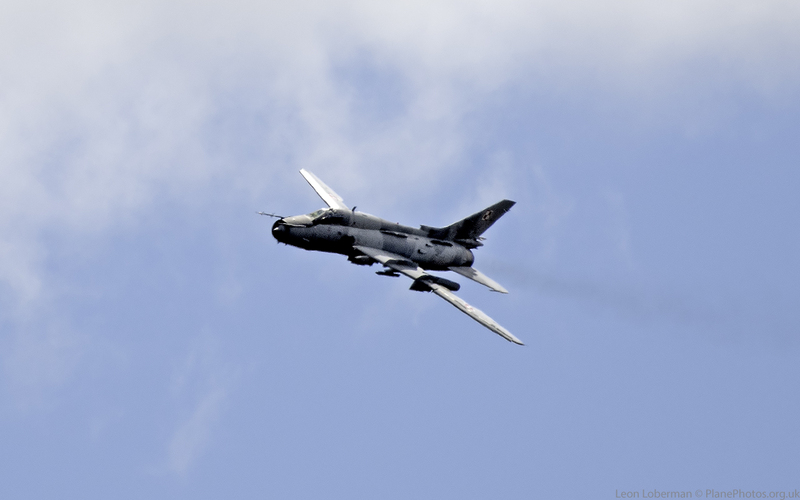 There are rather a large number of images of the Su-22’s – I think this has become my (current) favourite airplane.